Home » Sweets » Jalebi....Festive Sweet!! 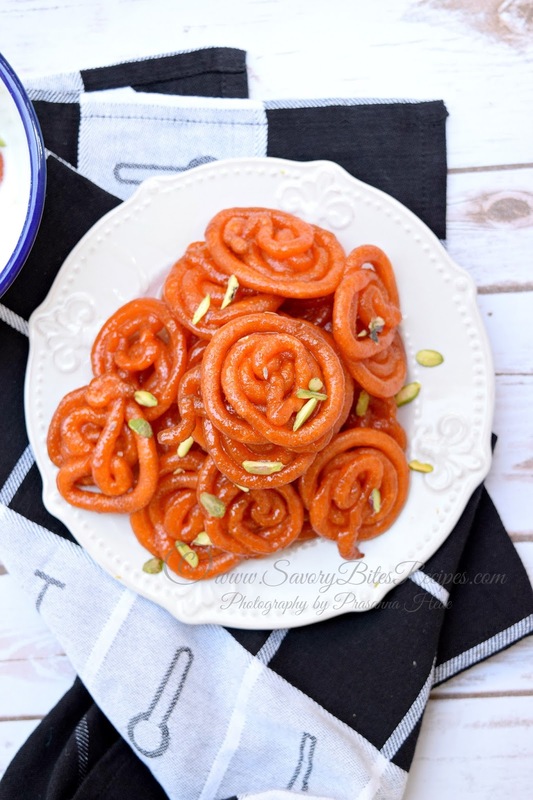 This is an update to my earlier Jalebi Post! I have formatted the recipe and updated with new Pictures :) Enjoy! 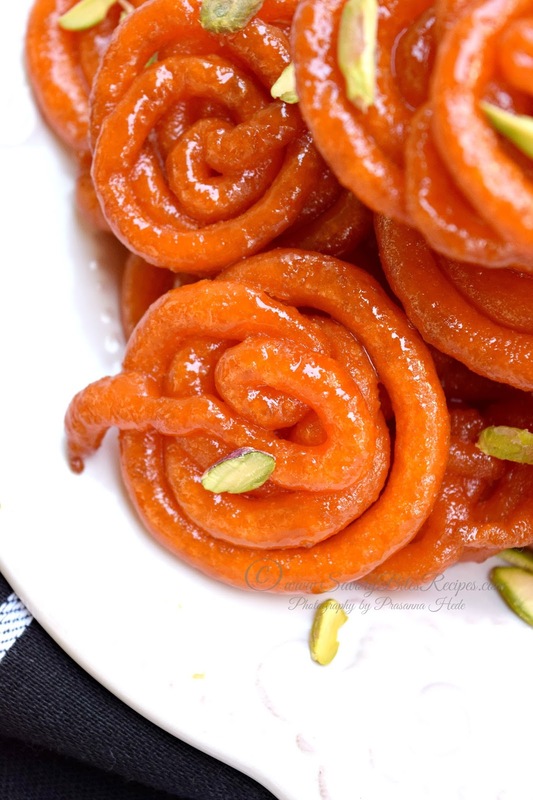 Jalebi....my all time favorite sweet..but it needs to be crunchy,sweet and yummy!! 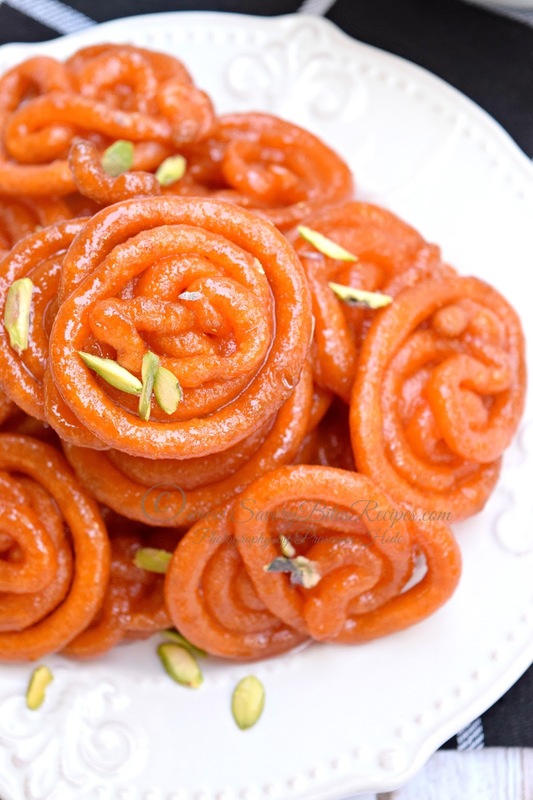 Do you guys remember that TV ad where a small boy left the house and ramu kaka convincing him to go back home by saying that his mom is making Jalebis?? I never tried that but no harm right? 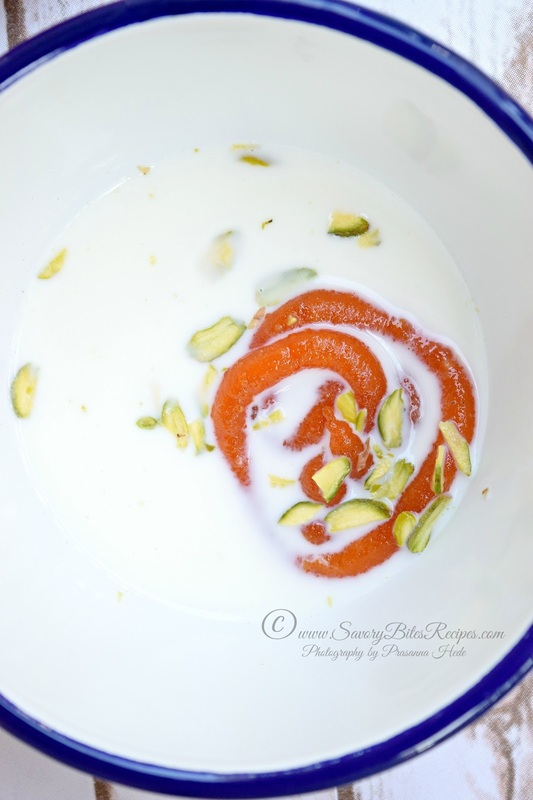 In a mixing bowl,add flour,salt,color,ghee,yogurt,besan. Mix thoroughly so that there are no lumps formed. Add water little by little to form dough. Remember the dough should not be too thick nor watery. It should be of wada batter consistency but flowing. When you drop the batter with spoon/ladle it should fall like a ribbon. Cover and place this in a warm place overnight. Best place to keep the batter will be in oven with light on! Next morning this will be bubbly. Pour this in a jalebi/sauce/ketchup bottle/frosting cone/ziploc bag. Here we do not need string consistency. Add lime juice so that syrup do not crystallize. The syrup has to be boiled well so that its sticky but not very thick. Let the syrup be warm. Keep it on lowest flame possible at all times. Heat ghee to fry the jalebi. Make sure the ghee is not too hot or warm too. Drop jalebi in ghee to fry. Fry them on medium flame till crisp. Drain and immediately drop in syrup. Let them soak in the syrup for 5 minutes. Drain and arrange on plate. Try to keep the batter of wada consistency. It should be of flowing consistency. I did not add yeast/Baking soda in this. But you can try and add a pinch of that too. Always fry the jalebi on low-medium flame till crisp. When you drop the jalebi inghee/oil,it should not sink and stay there but immediately rise up. Immediately drop them in syrup. Do not let jalebi sink in syrup for long or they will turn soggy. 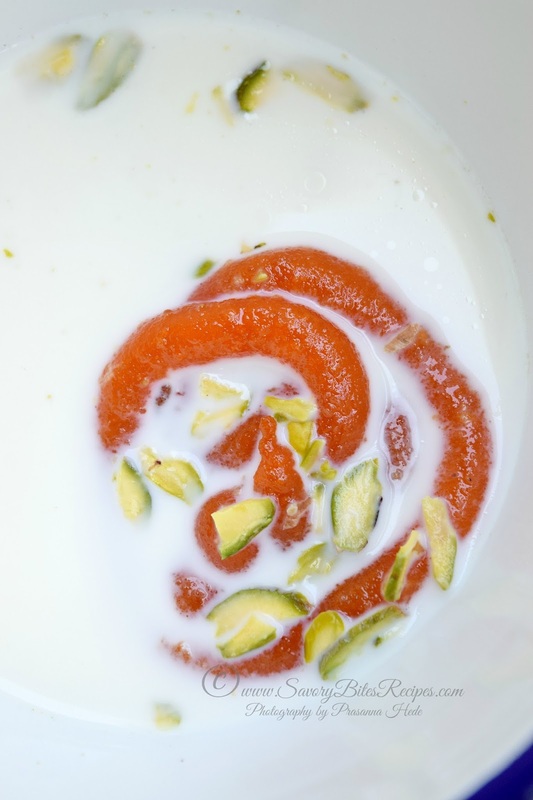 When dropping jalebi in ghee.oil,always start from the center with overlapping circles.